Here at Topline Trampolines, we’re always thrilled to receive great feedback on our trampolines, especially when they’re the ones we manufacture right here in Australia! It has never been easier to get the perfect gift as we deliver Australia wide. That means no busy shopping centres or chaotic carparks, as we deliver straight to your door! Please note that December delivery delays are common, so we prefer to dispatch before the 25th of November. We have been making all sizes of black poly mesh rectangular mats for over 50 years. Our replacement mats are Australian Made and designed right here in our Gold Coast factory. There are a few things you need to know before you go ahead and order your new replacement mat. Australian made black poly mats and Chinese made mats use different wiring systems. 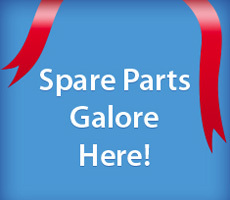 Make sure you’re aware of what your mat currently has as you may need to purchase additional parts. Did you know that over 95% of trampolines are imported? (They won’t advertise it). 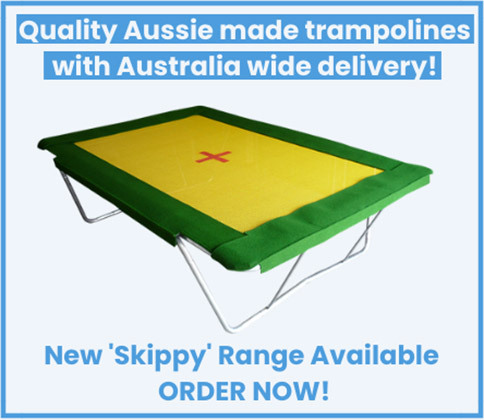 Why pay top dollar for a cheap import, when you can buy our quality Aussie-Made trampolines? Yes – we are rare! We manufacture our own 3 large Rectangle Gymnastic Olympic models as well as supply a range of other good value imported products. We would be delighted to get you bouncing! Check out our huge online range today or call our friendly team direct on 07 5594 0146. 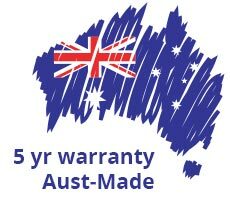 With a proud 50 year history of supplying top of the range trampolines to Sydney, Melbourne, Brisbane and beyond, we’d be delighted to assist you! Check out our team in action and see why we’re widely regarded as one of Australia’s best. We are a real trampoline factory and not just an online store. 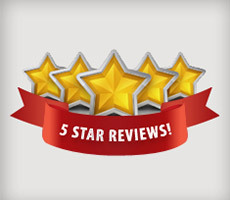 Great product, great customer service… polite, friendly, helpful. Don’t miss out, our products can sell out so order now or Lay-by over the phone with a deposit! December delivery delays are common, so we prefer to despatch our large trampolines very EARLY! We Have a Trampoline for Everyone! We have a large range of trampolines you are bound to find the perfect one for your backyard and family! Before you decide to purchase an in-ground trampoline there are a few things you need to know! 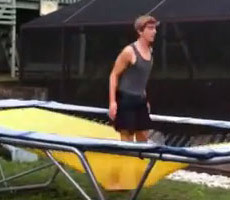 Our in-ground trampolines are Australian made in our Gold Coast factory. To install the trampoline you mount the frame onto a pre-built retaining wall. Therefore you are required to build your own pit with a very sturdy retaining wall. Browse our range of in-ground trampolines here! Our rectangle Olympic trampolines are Australian made right here on the Gold Coast! There are three different sizes available and all can be either purchased with the black poly or yellow 2 string mat. Look at our range of rectangle trampolines here! As one of Australia’s leading trampoline businesses, we have sourced the best quality round trampolines. All our round trampolines can also be purchased with a netting enclosure. View our range of round trampolines here!